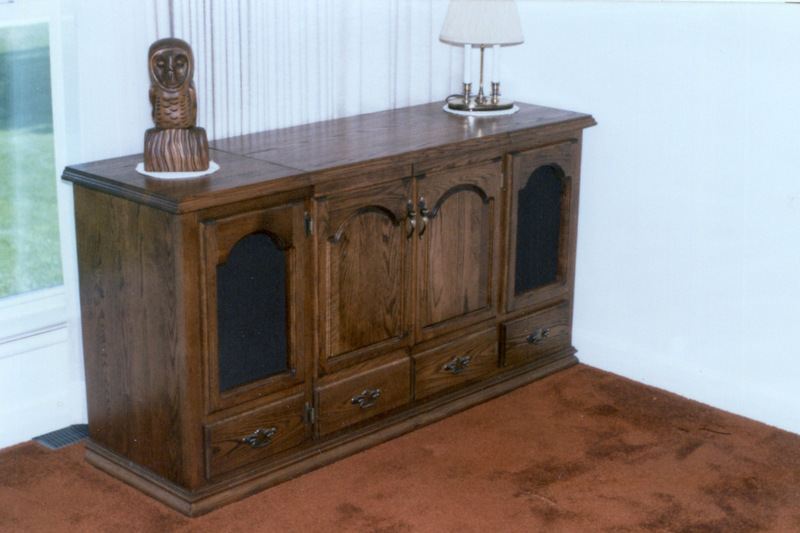 This solid oak unit was designed by the customer for his LP player (yes, that’s from the 80’s). The speakers are behind the left and right panels with drawers underneath. 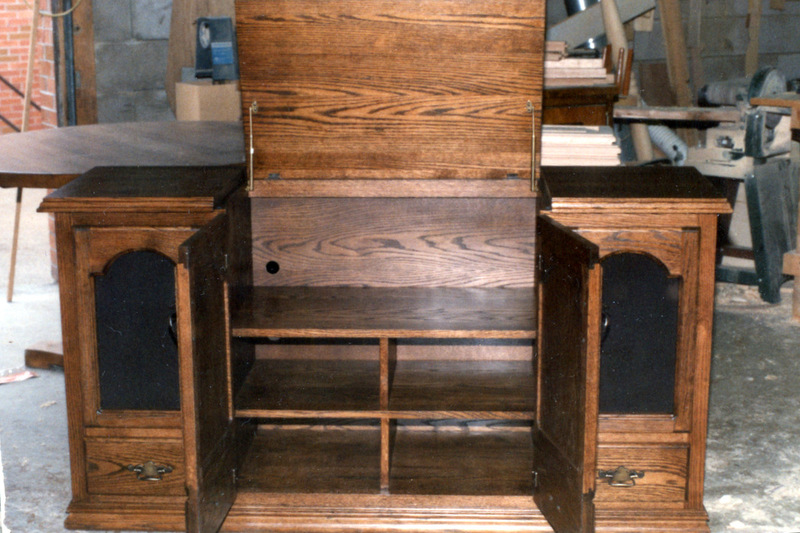 The doors in the middle go right to the bottom but are made to look like they have drawers underneath. Dark walnut stain with lacquer topcoat.